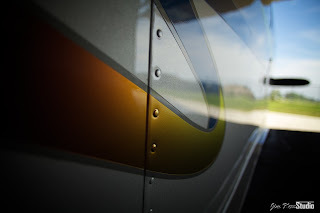 Hi gang, it's been awhile since I posted anything to the blog. Thought I'd check in and let you all know that N252Q is doing very well. 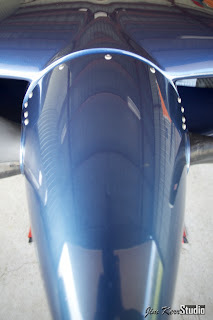 I thought I'd upload some recent pics that I snapped in the hangar today. My new camera does a better job showing off the ChromAlusion paint. You can see the color transition better in these pics than the ones I've posted previously. 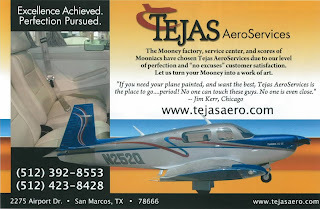 I was browsing through the Mooney Owners and Pilots Association (MAPA) magazine the other day and came across a Tejas AeroServices ad featuring N252Q. I thought I'd share it with you. 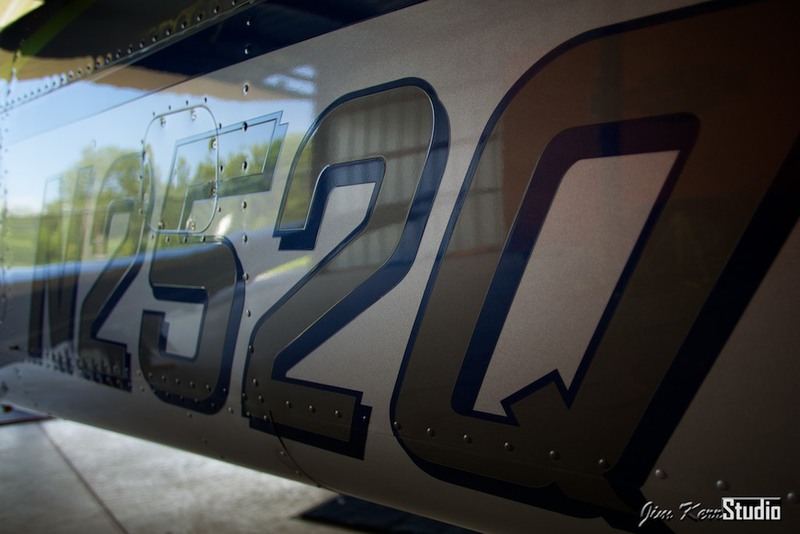 Thank you Tejas for featuring N252Q. She's still as beautiful as the day I picked her up. 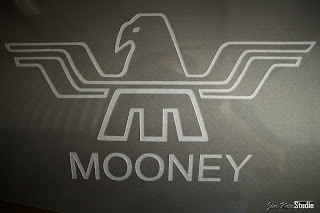 I've gone to Midwest Mooney for the past several years for 252Q's annual. I figured it's always good to get a second opinion. This time around I decided to go to Northwest Flyer's in Schaumburg, IL, which is located in the Northwest suburbs of Chicago. 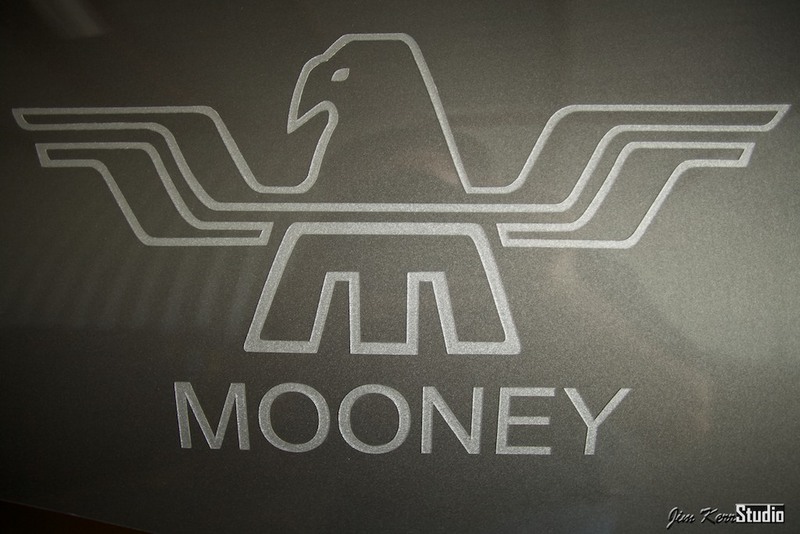 Northwest Flyer's is the closest Mooney Service Center to Chicago. The Schaumburg Airport (06C) is very nice. 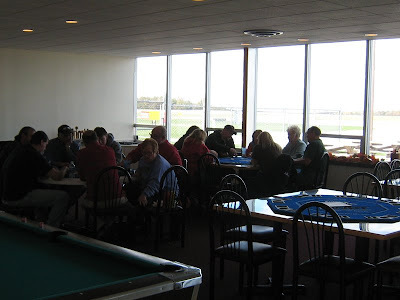 It is well maintained and has an excellent restaurant on the field called Pilot Pete's. 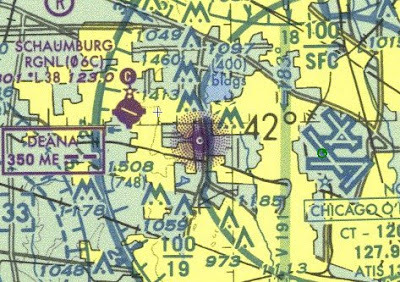 The only issue with 06C is that it is located just outside of the inner circle of O'Hare airport (ORD). You have to approach below 1900 feet and there are a number of large antennas in the area. This is a VFR airport (MVFR if you know the area). They don't have a control tower or any IFR approaches into the field. I was fortunate that the weather was good on October 31, which was the last day of the month before my annual expired. NOTE: I like doing annuals as close to the last day of the month as possible, so the annual is signed off in the following month. After leaving GYY I did some simulated practice approaches into Lansing Municipal Airport (IGQ) with my wife Lisa as the safety pilot. Lansing, Illinois is an excellent airport that is only a few miles Southwest of GYY where I'm based. They have GPS approaches to every runway, the traffic is light and it is easy to get in several approaches to holds. 06C is a busy airport because it is so close to the city and we arrived around lunchtime. Lots of jet traffic, light planes and helicopters were flying into the field. There was a bit of confusion with the line crew when I arrived. It took a bit for them to realize I was there for maintenance not lunch, but when they did they taxied me right up to the maintenance hangar door. The drop off was quick and easy. 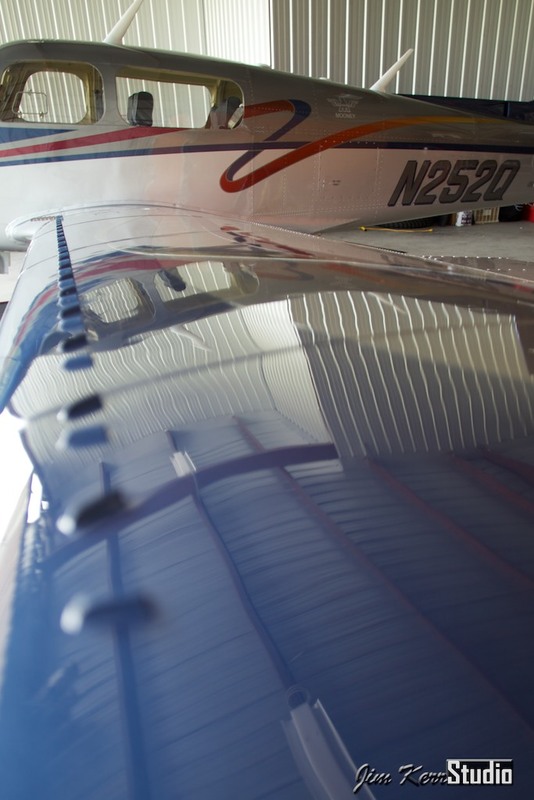 I handed them the logbooks and they moved 252Q into the hangar. We had lunch at Pilot Pete's and then took the Chicago Metra Train back into the city to work. Pretty much nothing! 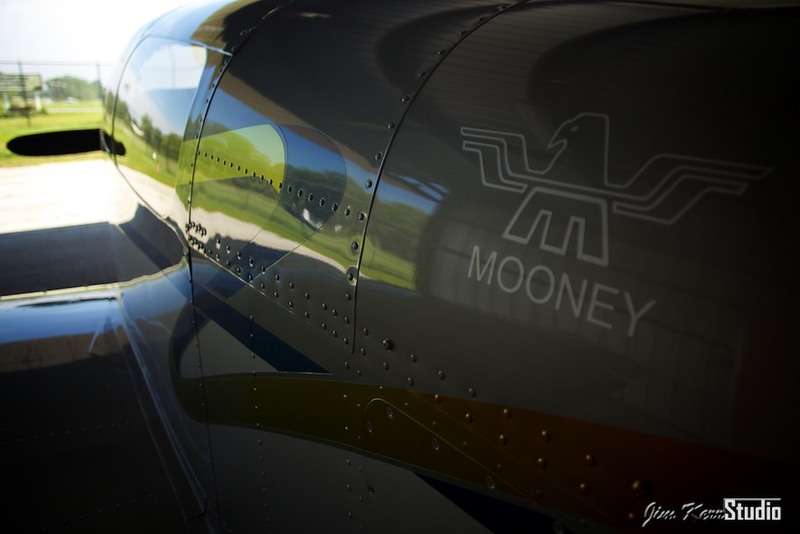 Gene, the IA that runs the Maintenance Facility, said "252Q was the nicest Mooney he's seen in his 30+ year career." He did not find one drop of oil in the engine or anywhere! The compressions were good, the rigging of the gear, flight controls, etc. were perfect. All they had to do was change the oil, clean the fuel injectors, service the O2 tank and install a new ELT battery. It was nice to get out of an annual without spending thousands of dollars. Lisa and I went out to pickup the plane Saturday, November 23. The annual took less than a week to complete, but the weather in Chicago has been horrendous. Saturday was the first VFR day since dropping it off. I did careful preflight of the plane. Oil was good, inspection panels were installed properly, etc. I also updated the GPS and MFD databases. All was good form a visual inspection perspective. 252Q started up and I slowly taxed out to the Runway. The run-up was good, but the Mag check failed. The drop was good when running on the Right mag, but it would not drop when running on the Left. I did a static run-up and confirmed that both mags were functioning. The plane had so much power it was dragging the plane forward while the tires were locked! Fortunately, I've seen this issue before. The P-Lead on the mag had to be disconnected! NOTE: The P-Lead grounds a mag so it will not fire when shut off. This is not a big deal from a flight perspective, but it is very dangerous on the ground. Turning the prop could actually cause the engine to attempt to start! Unfortunately the maintenance shop was closed on Saturday, so I had to remove the top cowling and reconnect the P-Lead. After getting things back together the run-up was good. We flew back to Chicago and did a few more simulated approaches into IGQ. I then flew the VOR RW 2 approach into GYY with a circle to land on RW20. That was a challenge since Lisa would not let me look out the window until we were right on top of the field. Never the less, I nailed the approach and landing! 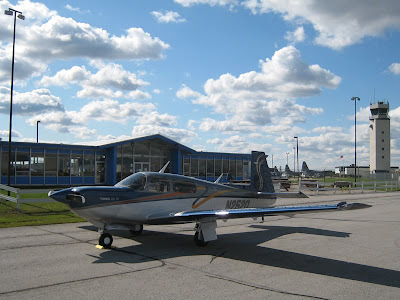 I dropped Lisa off at the Southshore Train and went back to the airport to prep the hangar and plane for winter. By the time I was finished it was about 6pm and dark outside. I haven't flown at night in awhile, so I figured I'd do my night currency and test the lights on 252Q. She started up instantly and all of the exterior lights were working. 252Q looks like a Christmas tree at night. I only noticed a couple of lights out inside that I need to fix, but they were on instruments I didn't need and could see with overhead lighting. I slowly taxied to RW12 at GYY and carefully tested everything. All worked, so I departed. 252Q flew perfectly. She hit a 1500 ft/min climb seconds after breaking ground. I had to back power off quickly or I would have departed the airspace. She was running like a top. I did the first landing to a full stop like I've been doing them every day. The tower controller let me back taxi the runway and I took off again. This time the tower turned on the center line lighting. That looks so cool on final! I back taxied again and then did my final landing. This time I rolled down the runway and turned off onto a taxiway closer to my hangar. I almost forgot how beautiful Chicago is at night from the sky. The flight was outstanding! The city was awesome, the lake looked like a the abyss with light fog building and the sky was pretty much mine. I can't wait to do it again. Hey gang, it has been awhile since I've posted. I haven't dropped off of the earth, just been busy with work. My wife and I flew up to Mansfield, Ohio (KMFD) over the weekend for a $100 Hamburger. It is a great stop. The airport is towered with tons of approaches, yet we were the only airplane on the ramp. The restaurant was clean, the people were friendly and the food was good. It seems that they get a good business form the local community. They had a large group playing cards when we were there. 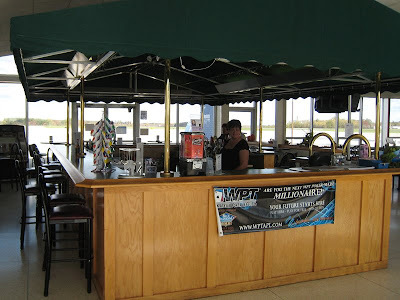 Here's a pic of the bar. They may even sell adult beverages. The gals at the counter are quite friendly and the service is fast. You may have noticed that the videos I've been posting in this blog are hosted on vimeo and not the more common YouTube. YouTube no doubt has a larger audience, but I've found their video quality and streaming is not quite as good as vimeo. NOTE: Click on the image below to see the difference. The image of the Harrier is sharper than YouTube. The video source file was exactly the same. YouTube also limits the length of the video you can upload. Vimeo does not have a limitation on duration, but has a weekly limit on upload size (500 MB). It is nice not to have to contend with a length limit when pulling together a video story or home movie you want to share with family or friends. vimeo also supports high definition file uploads. You can upload a 16:9 format 1080i video (wide screen) and anyone can play it back in HD quality over the web. YouTube only supports 14:3 (standard definition) video. I was initially concerned that 500 MB would be a limiting factor since video -- especially HD video -- creates huge files. However, I've found that I can compress video using QuickTime and achieve exceptional quality while significantly reducing the size of the file. This week I've uploaded several high-quality Oshkosh videos on vimeo and still have plenty of space available for more. 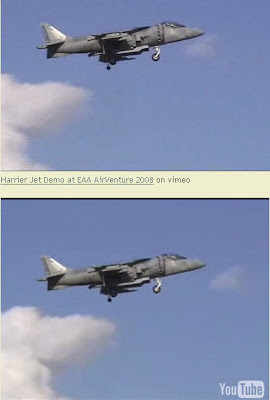 NOTE: The post just prior to this one, Harrier Jet Demonstration, has the exact same video uploaded to both sites. A good test is to run both videos at the same time and do your own comparison. Just turn down the volume on your computer -- Harrier Jet's are loud! The Harrier has been around for a long time, but everyone, including me, loves to watch it do its thing. It is fun to see this huge airplane stop in mid air. I captured this footage at the 2008 EAA AirVenture in Oshkosh, Wisconsin. The pilot departed the runway normally, did a high-speed pass, hovered and a vertical landing/take-off. Tuesday at EAA AirVenture they unveiled the Martin Jetpack in Aeroshell Square. It was an unprecedented turnout for an early in the morning event. I was fortunate enough to be a few rows back and was able to capture this video. This was the first ever public flight of the Martin Jetpack. Martin Jetpack Introduction & Demonstration. 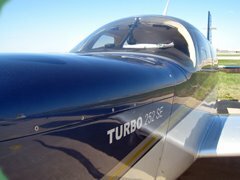 I recorded this segment at EAA AirVenture Oshkosh 2008. A few years back they started Warbirds in Review, which is a forum that lets AirVenture guests get to meet the Men and Women that made our world what it is today. This segment features Paul Poberezney. Paul is the founder of the Experimental Aircraft Association and Chairman of the Board. His son Tom is the President of the association. Paul is discussing the beginning of EAA AirVenture, his humble upbringing and some short stories about his P51 Mustang - Paul I.
Paul Poberezney at Warbirds in Review. No trip to Oshkosh would be complete without seeing the Air Show. 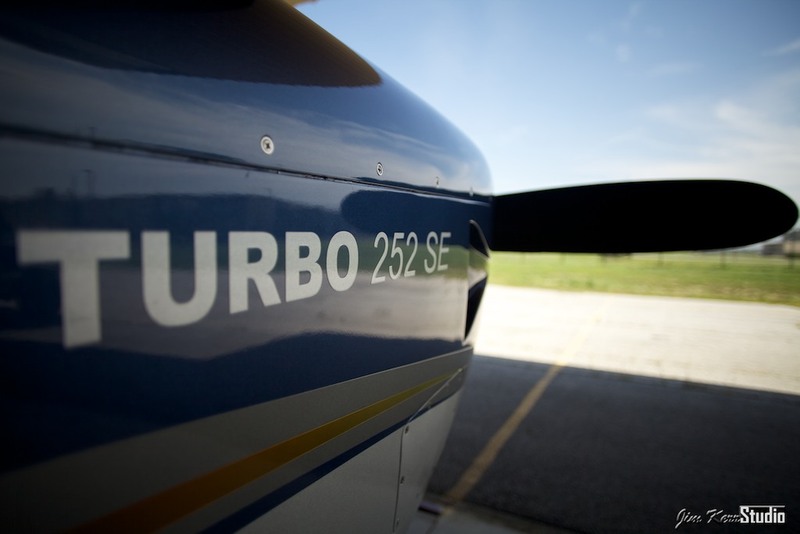 Only the best of the best are invited to perform at AirVenture. This year was spectacular. Sean Tucker is awesome as usual and his aerobatics team "The Collaborators" put on a great show. Patty Wagstaff is another one that brings the house down.